I have a colleague who, literally, lives on green tea. Those that are fascinated with green tea seriously, keep images of Oprah Winfrey, Gweneth Paltrow and Madonna in their minds to achieve better metabolism, boost immunity and fight weigh-gain. And then there are many who do not fancy green tea at all but resort to it when they need a free or low-cost ‘Rx’. We usually, blindly pick on boxed green tea on the shelves of supermarkets. In case, you are in the mood or taste-trajectory of developing and understanding green tea, help is at hand. “During my recent visit to India, I found a potential of green tea revolution. 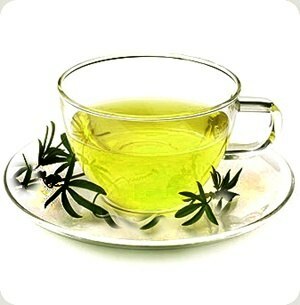 The general impression is that green tea is that it is good for health! But most people don’t know enough about tea and more about green tea. Green Tea can be manufactured both steamed and pan-fried methods.The tea can be consumed either hot or cold (keep it in the fridge and when it is cold, enjoy it). Steamed tea has a fresh,invigorating and flavour.The leaves are steamed for 60-120 seconds. Deep steaming involves first steaming of fresh leaves. After cooling, the steamed leaves are dried with heat as they are kneaded and rolled into needle like shape. Pan-fried tea is made by a very different method. Tea leaves are roasted in an iron pan on high heat which neutralizes the ‘grassiness’ that characterises steamed tea. Roasting makes the leaf tissue firm, giving the tea clear, yellow-green colour. The taste is light and understated.Pan-fried is my favourite.This was first introduced in 1406 in China. Steamed tea was invented by Japanese in 1738 (notes by Amane Takeuchi). For more deep-brewed info on tea and its know-how, visit his webpage www.sanjayguha.com for more. Previous PostFFTG: Fresh From The GardenNext PostCan’t Go Wrong With PIZZA! I enjoy my green tea with honey… sometimes. I do that too sometimes. And quite like it.